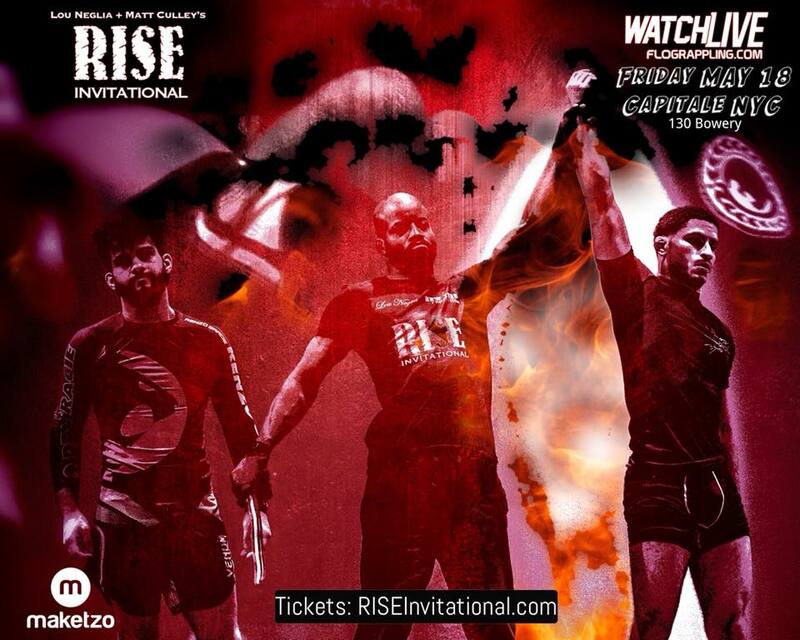 This Friday, May 18, 2018, RISE Invitational 4, presented by Lou Neglia & New York Fighting, will be held starting at 8:00 p.m. at the Capitale ballroom in New York, NY. The event will be live streamed on FloGrappling. Limited tickets to attend the event live are still available on RISEInvitational.com and doors will open at 7:00 p.m. The event is stacked with the top names in the submission only scene, including numerous RISE champions and veterans from previous events. 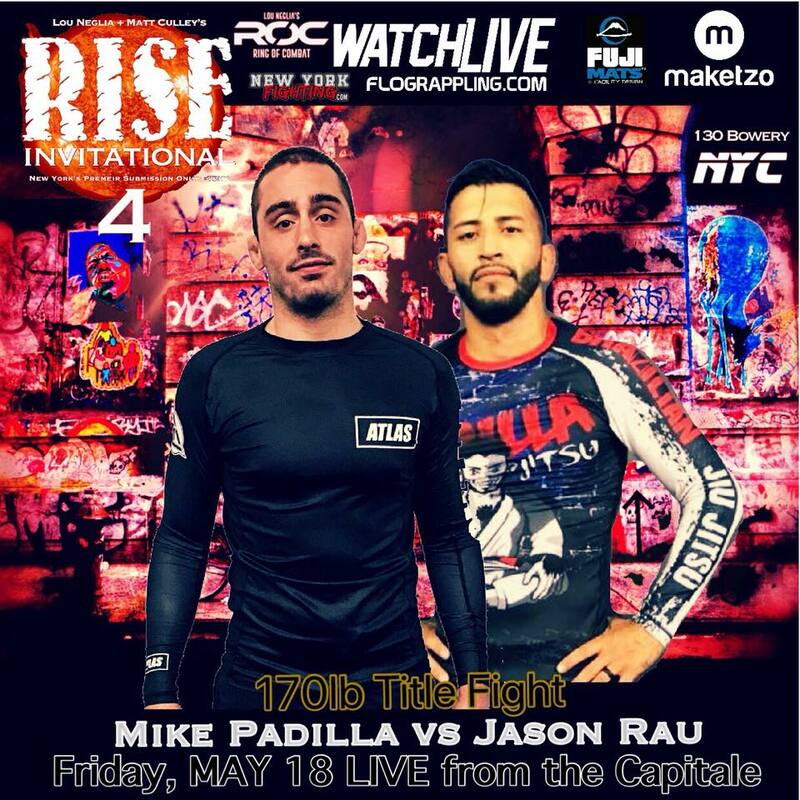 The event is headlined by a title fight between RISE Invitational welterweight champion Jason Rau and EBI veteran Mike Padilla. Rau, one of Matt Serra’s stand out black belts and member of the infamous Danaher Death Squad, won the welterweight belt in an 8 man tournament at the first RISE event and now looks to defend that belt for the first time in his bout against Padilla. Rau is currently undefeated in all three appearances at RISE Invitational. The match will be 10 minutes submission only with one round of EBI overtime, if necessary. 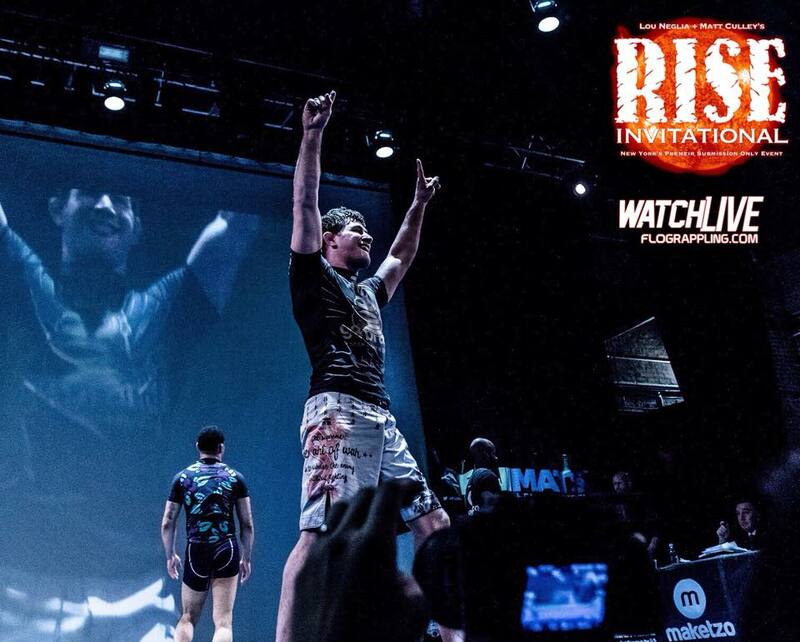 Frank Rosenthal, another member of the Danaher Death Squad and RISE Invitational’s current featherweight champion, will also be returning to competition this Friday. He will be looking to secure a second title, this time at 135 pounds, in RISE’s 4 man bantamweight tournament. Other competitors include 10th Planet HQ brown belt Rey Rey De Leon, ECU Bronx purple belt and amateur MMA prospect Christian Medina, and Gracie Barra black belt Sop Huh. Huh has also competed at RISE previously in their second event, falling to Rosenthal by way of heel hook, so it will be interesting to see if we get a rematch there. Additionally, there is potential for a 10th planet v. DDS matchup with De Leon and Rosenthal, furthering the rivalry between the two teams. Repeat competitors seem to be the theme of the evening at RISE, as many of those featured in this Friday’s event have also made appearances in past RISE events. One of the best examples is the rematch between Alex Ecklin and Nick Pace. The two faced each other at the first RISE event, coming to a draw after a 10 minute submission only match. This time the match will still be 10 minutes submission only, but with the addition of one round of EBI overtime to determine a final winner, if necessary. Nick Ronan, RISE lightweight champion, will also be returning to face 10th Planet black belt and EBI veteran PJ Barch in a 170 pound superfight. Ronan trains under Matt Serra and is another member of the Danaher Death Squad, a team that is strongly represented on this weekend’s event and currently holds multiple RISE titles. 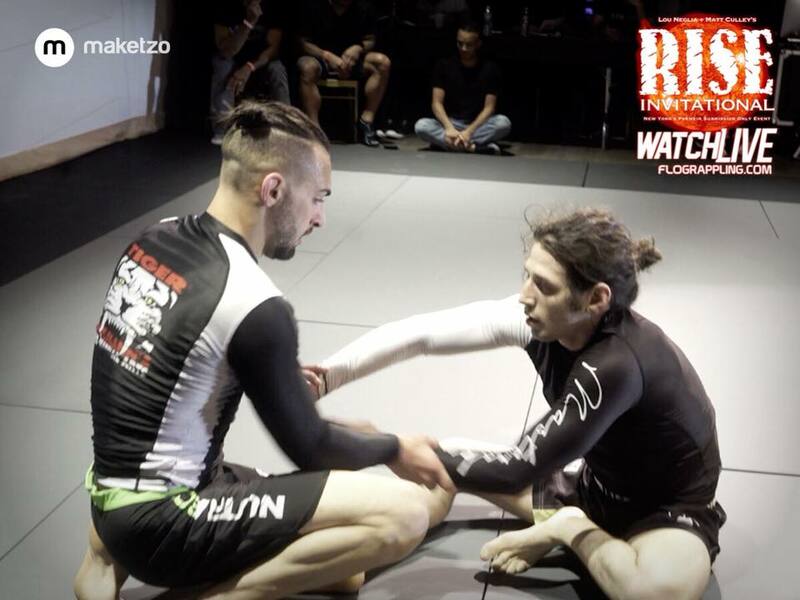 Barch has met Ronan’s teammate, Jason Rau, in competition in the past, with Rau being defeated by Barch via heel hook at the Sapateiro Invitational 10. Surely Ronan looks to avenge his teammate with this match and score a win for DDS over 10th Planet. The undercard is also stacked with tough competitors, including a feature match between Ring of Combat welterweight champ Taj Abdul Hakim and Ring of Combat veteran Mike Elshamy. Another undercard match to keep your eye on is Zach Maslany v. Mario Hernandez. 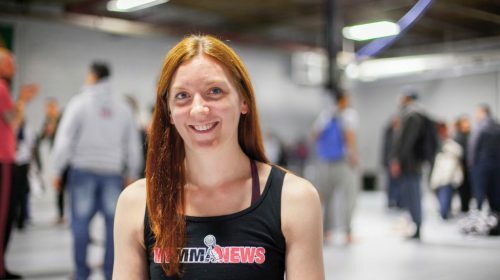 Maslany, one of the head instructors at 10th Planet Bethlehem, has competed previously at RISE 3 and is a regular on the submission only scene. Hernandez is a brown belt training under Julio Rivera and Marcos Galvao and an amateur mma fighter currently on a win streak, so it should prove to be an exciting match up. This is an event you won’t want to miss. Check back on Friday night for live results updates from mymmanews.com.